ABOVE Engine assembly at Hyundai Motor Manufacturing Alabama will soon stretch out with a $388 million expansion. Early summer has been a busy season for Hyundai Motor Manufacturing Alabama. The company almost simultaneously announced it would invest $388 million to build a new plant for manufacturing engine heads while also rolling out its redesigned 2019 Santa Fe, with workers and local leaders joining in a parade through the plant led by the gleaming SUV. 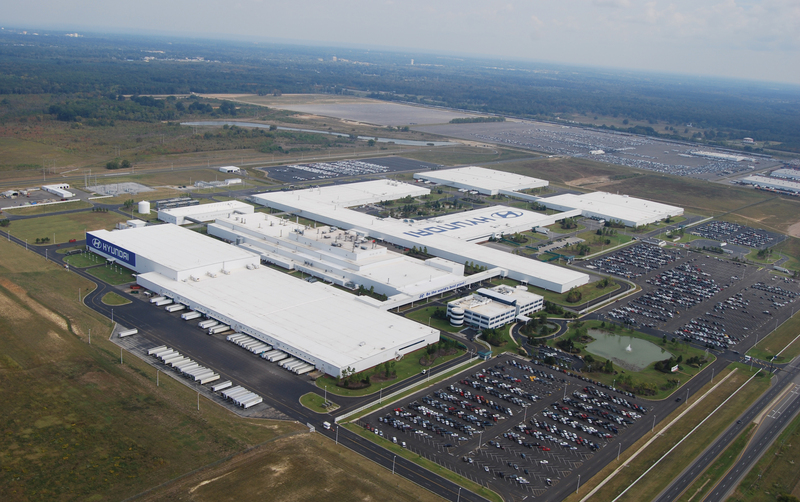 The Santa Fe introduction has taken up great effort at the 3, 200-worker plant in Montgomery, as Hyundai aims to satisfy the strong market for SUVs by producing 84, 000 of the new models this year. The new investment will prepare the facility for the next-generation Theta III engine, which requires more technologies, components and robotic programming. Hyundai estimates 50 jobs will be created with an average annual salary of $52, 000. The state pledged incentives of $59 million, according to the Alabama Department of Commerce. That includes an investment credit of $58.2 million over 10 years to the plant, in the form of a credit against the companies’ income and utilities taxes, and a jobs credit of $948, 672 over 10 years. The incentives were offered through the 2015 Alabama Jobs Act. Hyundai officials say $40 million will go to build a 260, 000-square-foot building to house engine head machining equipment. Construction on that building is set to be complete by November. The new building will also free up space to expand engine assembly lines in the existing engine facility. Theta III engine production for Sonata sedans and Santa Fe crossovers is expected to commence by mid-2019. The plant is still building 2.0-liter Nu engines for the Elantra.